Stephen J. Hessen, partner at Kreis Enderle Hudgins & Borsos, PC in Kalamazoo, Mich., has been named to the Super Lawyers list as one of the top attorneys in Michigan for 2016. No more than five percent of the lawyers in the state are selected by Super Lawyers. This is the fourth consecutive year that Hessen has been given this honor. He is recognized for his work in business litigation, business and corporate law, as well as estate planning and probate. He also practices in the real estate area. Super Lawyers, a Thompson Reuters business, is a rating service of outstanding lawyers from more than 70 practice areas who have attained a high degree of peer recognition and professional achievement. The annual selections are made using a rigorous multi-phased process that includes a statewide survey of lawyers, an independent research evaluation of candidates, and peer reviews by practice areas. Hessen is a graduate of Central Michigan University and Wayne State University Law School, and is admitted to the bar in the state of Michigan. Kreis, Enderle, Hudgins & Borsos, P.C. has offices in Kalamazoo, Grand Rapids, Battle Creek and St. Joseph, Michigan. The firm specializes in business law, estate and elder law, and divorce law. Other practice areas include agricultural law, appellate advocacy, criminal defense, insurance defense and municipal and governmental law. 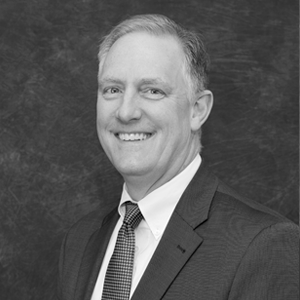 With 30 years of experience in commercial litigation, estate planning, and business planning, Steve Hessen has an impressive combination of litigation and transactional experience. Because of his reputation for fairness and professionalism among his peers, he is a frequently sought-after mediator for parties looking to resolve lawsuits through alternative dispute resolution.